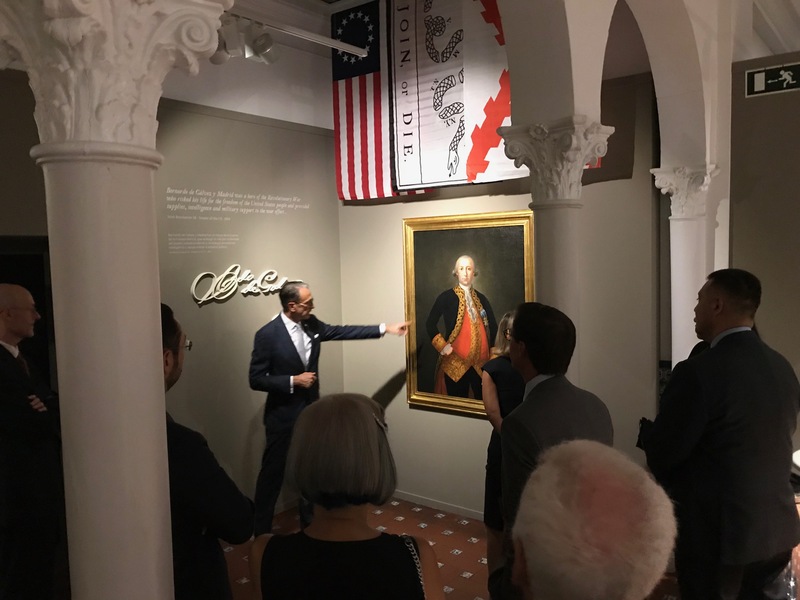 DAR was honored to be invited by the Spanish Embassy to attend the opening of the exhibit, Recovered Memories: Spain and the Support for the American Revolution, at the Former Residence of the Ambassadors of Spain here in Washington, D.C. Many people are not fully aware of Spain’s role in the American Revolution. In fact, even before the signing of the Declaration of Independence, the Spanish Crown had been providing money, arms and supplies to the Thirteen Colonies. Between 1776 and 1778, this aid took the form of largely-covert shipments from Europe, from Havana and also from the strategic port of New Orleans. Having declared war on Britain in 1779, Spain joined France in launching a series of major military operations on land and sea, not only in Europe but also in the Atlantic and the Gulf of Mexico. At the same time, Spain continued to send supplies and loans to Congress until 1783. Recovered Memories: Spain and the Support for the American Revolution showcases this support from Spain for the American colonies prior to and during the Revolutionary War, and also highlights notable Spanish figures whose lives impacted the emerging new country. The exhibit takes the visitor on a chronological journey of Spanish-American relations beginning with Spain’s own Age of Enlightenment during the reign of Charles III, through the times of European and American revolutions, and ending with the technological advancements at the turn of the 20th century. Organized by Iberdrola and SPAIN arts & culture, the temporary exhibition is on display through November 18, 2018, at the Embassy of Spain’s Cultural Office at 2801 16th Street NW. It features historical documents and works of art. Also on display are clothing of the period, musical instruments, maps of colonial America, and many other historical pieces. We were especially excited to see some items in the exhibit that were loaned by the Espana DAR Chapter in Spain! 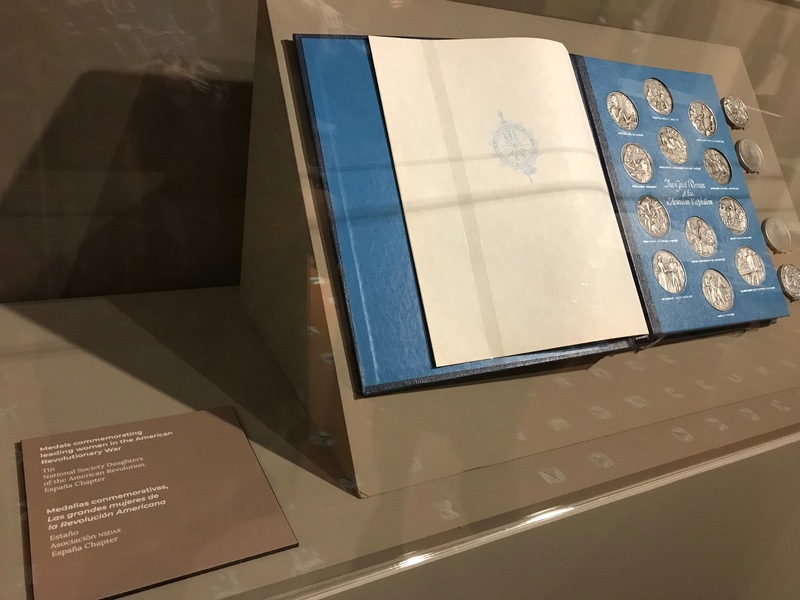 On display in the “Women at Arms” section of the exhibit was a commemorative medal collection that the DAR engaged The Franklin Mint to design in honor of the Bicentennial. “The Great Women of the American Revolution” collection of pewter medallions depicts women who contributed to the fight for Independence and was loaned to the Embassy of Spain by the Espana Chapter for their exhibition. The Recovered Memories exhibit is very insightful and well done. If you are in the greater Washington, D.C., area this fall I encourage you to see it or tell others about it. The exhibit is free and open Tuesday to Sunday from 10 am to 6 pm or you can contact the Cultural Office at the Embassy of Spain (contact@spainculture.us) to book a special tour date and time. The exhibition is open from September 28 until November 18. This would make for a marvelous chapter activity. Thank you to the Embassy of Spain and their Cultural Center for hosting this engaging and carefully documented survey of Spain’s contribution to the founding of the United States. 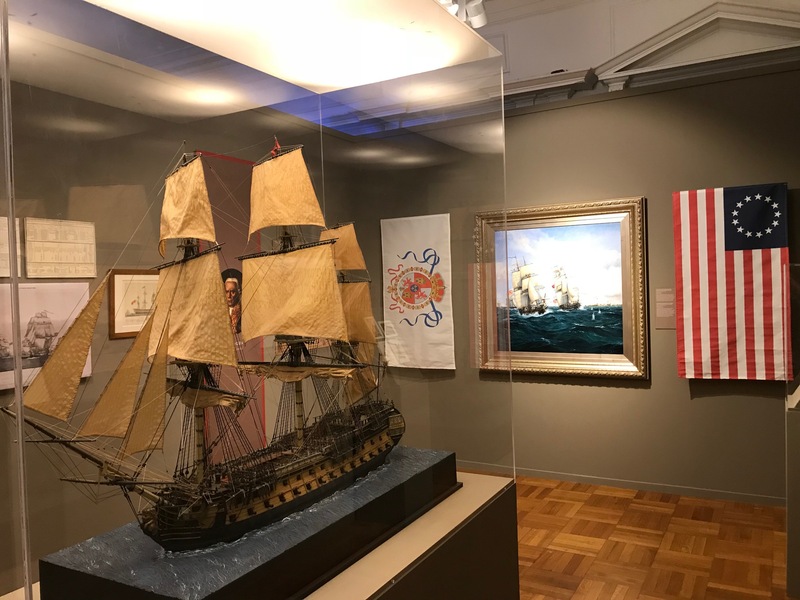 Over the course of the exhibit, the cultural center plans to welcome nearly 1,000 students from multiple schools on field trips to learn more about the American Revolution and Spain’s involvement. What a wonderful educational opportunity!